Disclaimer: I received a complementary meal for four at the Grande Vista Bar and Grill at Emerald Grande at Harborwalk Village in Destin. The meal was arranged by the Emerald Coast CVB, and sponsored by the Emerald Grande. I did not receive any other compensation for this post. All opinions are my own and do not reflect Grande Vista, Emerald Grande, or the Emerald Coast CVB. If you are lucky enough to have vacationed along Florida’s Emerald Coast, you know one of the best parts of the vacation is the food! We had the opportunity to dine at the Grande Vista Bar and Grill. The restaurant is in a perfect location after a busy day at Destin’s Harborwalk Village. The restaurant was not particularly busy at the time when we went. The service was perfect, we had two amazing servers who spent time with us talking about the menu and about the area. The view from the Captain’s Deck at sunset is supposed to be the best in the panhandle. We visited the Emerald Grande during a thunderstorm and unfortunately missed the view. The Grande Vista Bar and Grill not only serves visitors to the Emerald Grande and Harborwalk Village, but also condo residents and visitors. We were able to find a parking spot in their free underground parking lot, take a elevator to the restaurant, and promptly be seated. This was a great thing for us with two kids and a thunderstorm outside. The restaurant is comfortable, almost has a lounge feeling which is great for the condo residents. The dinner menu is filled with local twist on your favorite foods. I ordered the Crab Cake Dinner, they were the best crab cakes I have ever had! 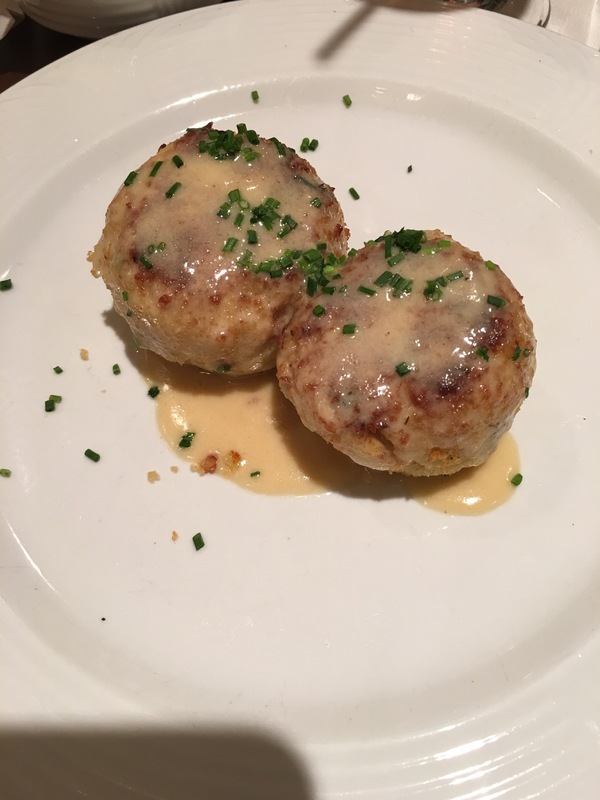 I was served two jumbo lump crab cakes with lemon beurre blanc and fresh chives, along with pasta salad, and fruit salad, My husband ordered the Char Grilled Filet Mignon, We are picky steak people and his was cooked to a perfect medium rare, with sauteed mushrooms, with a creme and demi-glace. 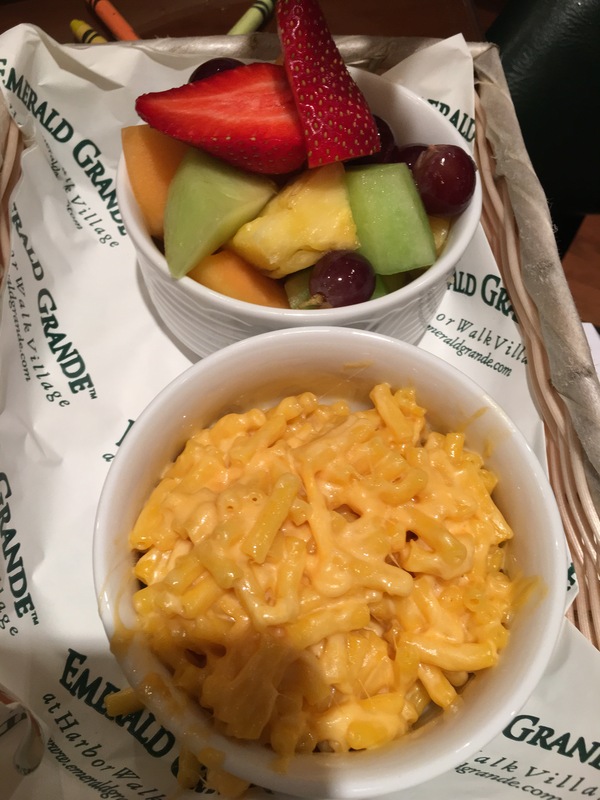 Our kids were also treated to a wonderful cheeseburger and mac n cheese with fresh fruit and french fries. The quality of the food and the service was outstanding. We will be repeat customers.